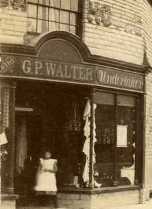 Albert Walter was born in Babcary, Somerset, England in 1840, the son of Walter and Ann Walter (see The Walter Family of Babcary, Somerset). 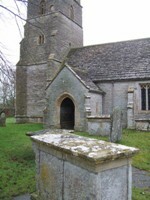 Aged 11, Albert is listed in the 1851 census at Greenhill Farm, Babcary. Albert disappears from UK records and seems to have emigrated to the USA where, in 1860, an Albert Walter was living in Oneida, Ontario Township, Knox County, Illinois. On 14th August 1862 he enlisted with Company H of the 93rd Regiment Illinois Volunteer Infantry. Private Albert Walters of Oneida died of disease at Memphis, Tennessee on 28th March 1863 and is buried there. The Illinois State database records him as single, born Somerset England, dark hair, light eyes and complexion, 5ft 7ins and occupation farmer. Two of his brothers also subsequently emigrated to the USA but it is not known whether they were aware of Albert's fate (see Hugh and Robert Walter in America). Company H (Bureau County Tigers) was recruited at Neponset, Bureau County during the month of August 1862. The first Captain of Company H was Nicholas C. Buswell, a livery stable and hotel keeper in Neponset, who had been commissioned to raise a company of volunteers by Gov. Yates, of Illinois. Buswell was subsequently elected Lietenant-Colonel. On September 17th they travelled by rail (on the Chicago Burlington and Quincy Railroad) to Camp Douglass in Chicago where they had daily drills and dress parades. Having been equipped and organized for war, 10 companies were mustered into the U.S army on October 13th as the Ninety-Third Regiment Illinois Volunteer Infantry for 3 years or the duration of the war. On November 9th the 93rd embarked by Illinois Central Railroad to Cairo, Illinois and then the steamer Tecumseh to Columbus, Kentucky. 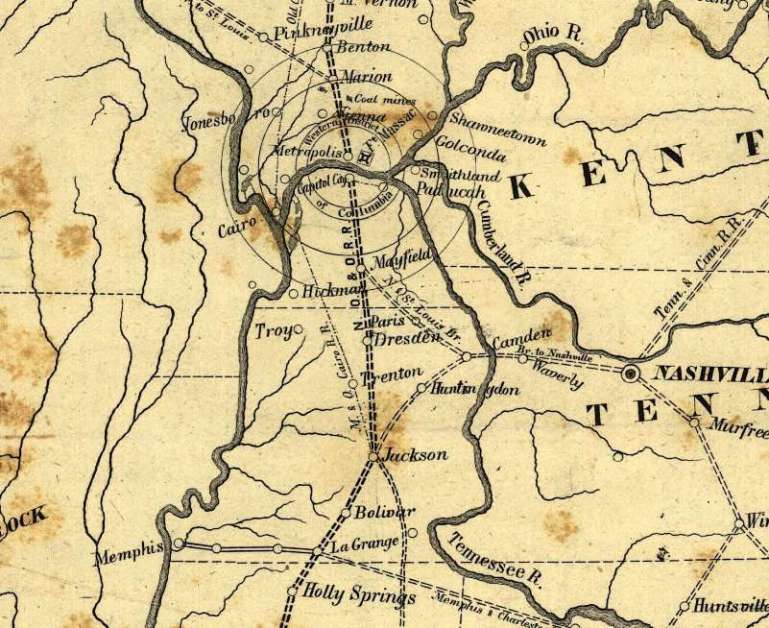 The Tecumseh was redirected to Memphis, Tennessee and, after some difficulties with sandbars got there by the 14th to join General Ulysses Grant's campaign into northern Mississippi. However, the campaign was halted when Union forces surrendered at Holly Springs and the regiment returned to Memphis without seeing action. January and February 1863 were spent in camp. 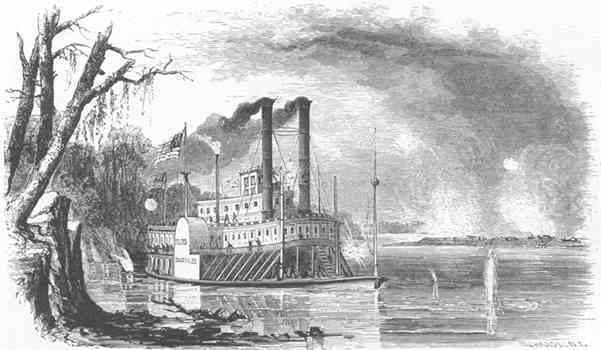 On March 2nd the regiment travelled by the steamer Henry Von Phul down the Mississippi to Grand Lake, Arkansas; two days later returning to a point opposite Yazoo Pass. On March 22nd they left by the steamer Jesse K. Bell to survey enemy fortifications at Greenwood, Mississippi. Albert was probably dying in one of the many field hospitals around Memphis by this time. He is likely to have been (re)buried as one of 7500 unknown soldiers in the Memphis National Cemetery. Disease was the biggest cause of death in the Civil War accounting for approximately 60 per cent of Federal and two-thirds of Confederate fatalities. One reason was recruitment of unsuitable men (under and over-age and pre-existing health problems) especially in the first year. About half these deaths resulted from intestinal diseases, mainly typhoid, diarrhoea and dysentery. The remainder died from pneumonia and tuberculosis. Further problems were caused by outbreaks of common infectious diseases such as measles, chicken pox, mumps and whooping cough. Camp conditions were appalling with filth and poor diet contributing to the ill-health of combatants.